A Content Security Policy (CSP) is something you’ll configure your web server with to add an additional layer of protection, especially from harmful scripts loaded from third-party vendors. Once you have a CSP in place, all resources loaded and executed by the web page need to pass the CSP directives. For Google Tag Manager, this is very relevant. 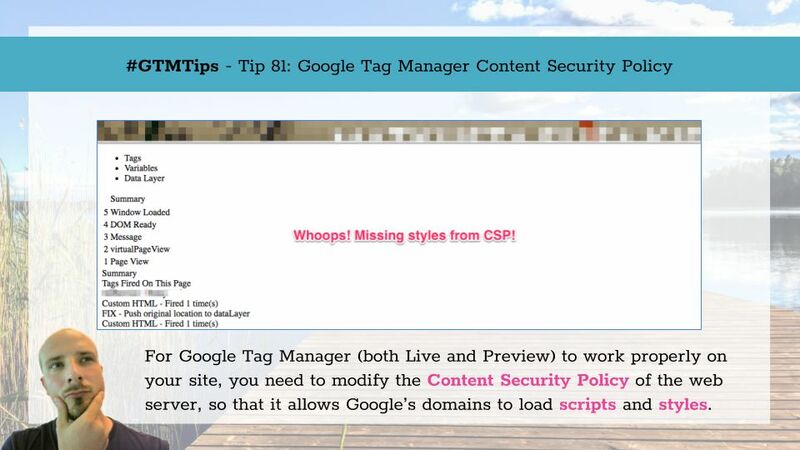 If you have a CSP in place, you will need to modify it so that Google Tag Manager functions properly.